In the ten years since its original publication, The Four Things That Matter Most has changed the lives of thousands who have turned to it for guidance and comfort. Now updated for its tenth anniversary with a new introduction by the author, this edition also contains new, inspiring stories from readers who have benefited from using the Four Things to mend a wide range of relationships before it was too late. Four simple phrases: “Please forgive me,” “I forgive you,” “Thank you,” and “I love you” — carry enormous power to mend and nurture our relationships and inner lives. These four phrases and the sentiments they convey can help us resolve interpersonal difficulties with integrity and grace. 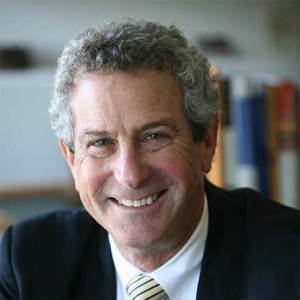 In The Four Things That Matter Most, Dr. Ira Byock, an international leader in palliative care, explains how we can practice these life-affirming words in our day-to-day lives and improve our emotional well-being. He demonstrates the value of “stating the obvious” in letting the people we love know that we love them and provides practical insights into the benefits of letting go of old grudges and toxic emotions. Dr. Byock’s insights and stories help us to forgive, appreciate, love, and celebrate one another, enabling us to live life more fully. He also shows that, through the very end of life, surprising degrees of emotional healing are possible. We can experience a sense of wholeness even in the wake of family strife, personal tragedy, or divorce, or in the face of death. With practical wisdom and spiritual power, The Four Things That Matter Most gives us language and guidance to honor and experience what really matters most in our lives every day. The Four Things are everyday guides for doing the right thing, for reconciling the rifts that divide people, and for cutting through old history—because you just never know. Powerful real-life stories culled from Dr. Byock’s and other counselors’ patients who used the Four Things in all sorts of life situations show the possibility of interpersonal healing and wholeness, even in the wake of tragedy or the face of death. From a granddaughter’s last days with her ailing grandmother to a teenage girl’s first hour with her estranged father, these stories are “Every Day with Morrie”, enabling readers to imagine how they can use the Four Things in their own lives. These eleven words can improve all relationships—at any time. Using the Four Things, Dr. Byock also reclaims the traditional meaning of “good-bye” as “God be with you”—a blessing that we all can use, whether parting from someone for an hour, a day, or at the end of a lifetime.